Today Friday May 25, 2012 a attended Hogwarts School of Witchcraft and Wizardry...well almost lol However, I did go on The Making of Harry Potter Tour, and it absolutely was amazing! I had no idea how much time and work producers spent creating the Harry Potter films. It was really neat to be able to see how all the magic happens in the movies. So many talented artists, designers, and engineers were needed to create JK Rowling's magical world of Hogwarts. This tour had all of the major set pieces, props, and costumes the actors wore. I could not believe that it was all right there in front of me, I was in complete awe the entire tour. One of my favorite parts was learning about the green screens and special effects. Surprisingly most things were actually shot without a green screen. A lot of the camera shots had build in illusions to make objects fly, look further, or bigger than they really are. 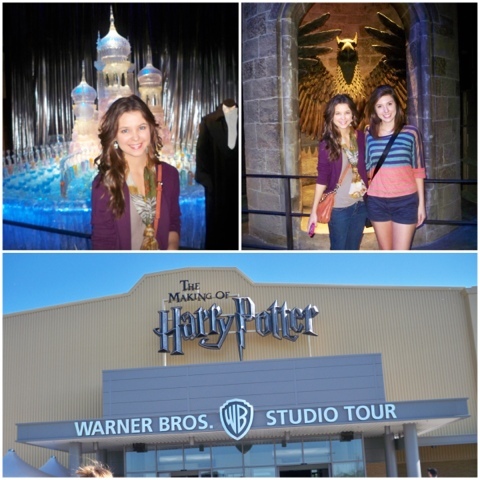 The Making of Harry Potter Tour was a wonderful experience and made me love the stories even more. Anddd now onto reading the books Lol That afternoon my group and I did what every Londoner would do and that would be afternoon tea. We went to the Orangery right behind Kensington Palace and had a grand time. The girls and I dressed up and had tea, cakes, and finger sandwiches. 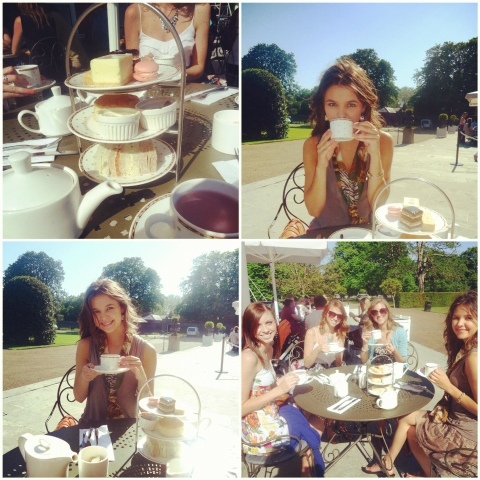 It was fun to have a real tea party by a real British palace. Once we were full on tea and cakes, it was time to do a little shopping on Kensington Street. I had several pounds left and boy were they burning a hole in my pocket. Most of my time was spent in Zara, H&M, and Accessorize. I purchased several colorful tops, a pair of crochet shorts, a pair of floral shorts, and an adorable pink hairpin. It was a successful trip and now I have some cute new clothes for Paris. 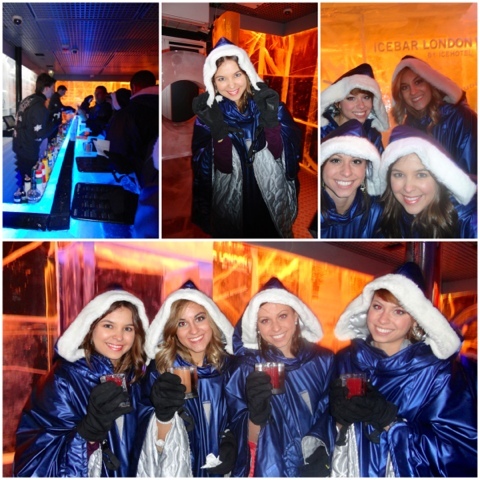 To properly end our week in London, several of us decided to go to Ice Bar London. The concierge told us to take bus 9 to Picadilly Circus, but of course it no longer stopped there. We found this out twenty minutes into the ride. We already missed our 8:00 reservations and we could only hope there was a later spot available. It literally felt like we were in a movie when we hopped of the bus and ran across Covet Garden through London's busy night scene. During our frantic dash I noticed all the clubs and bars were in full swing. Friday evening was definitely a night to be out in London. Finally we found Ice Bar and it was a blast. We all had so much fun dancing around in our parkas and gloves in a room that is literally below zero degrees. The drinks were great and served in an glass made of ice. Everyone had an amazing time, got some great photos, and made memories we will never forget.